Directions: From the town of Bedford take 43N (Peaks Rd) toward the Peaks. Turn right on Dogwood Lane after passing Boone Drive. Watch for signs! 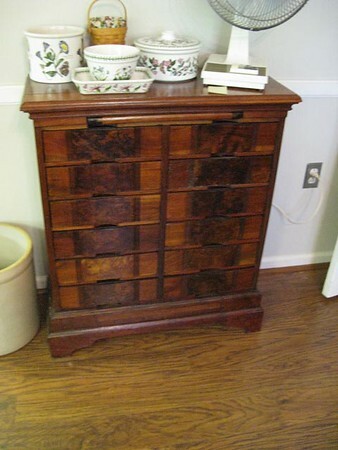 We are offering an interesting and varied selection of antiques, reproductions, and collectibles from two local estates. We have everything from fine things to fun things--all in very good condition.